Senior Jaxson Otis pitched five shutout innings against the Durango Trailblazers Wednesday as the offense amassed 10 runs in four innings. 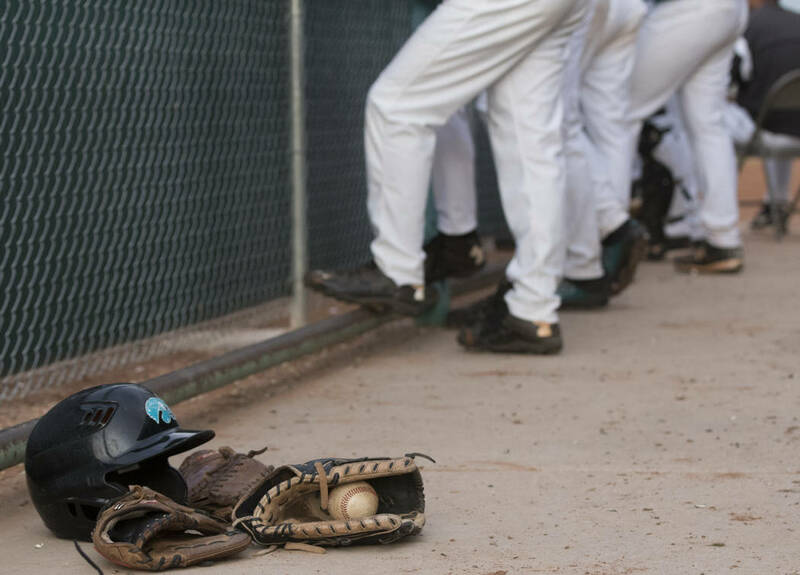 Jaxson Otis pitched five shutout innings, and the Spring Valley baseball team rolled to a 10-0, five-inning victory over visiting Durango. It was the team’s second straight five-inning win over the Trailblazers. This is the fourth game this season Spring Valley (9-1, 5-0 Southwest League) has won in less than seven innings. All of those wins have been against conference opponents. Otis allowed five hits and struck out three in his shutout and also went 1-for-1 at with a walk and a sacrifice fly. His lone hit was a two-run home run to left-center field in the second inning. “Pitcher made a mistake and I just put a good swing on it,” Otis said. Otis also added a stolen base. He showed patience at the plate Wednesday, but Bassett was more impressed with his starter’s performance on the mound. The Grizzlies jumped on Durango (3-4, 0-2 Southwest League) early with five runs in the first inning after batting through the order. Spring Valley scored three more in the second to pull away. Otis’ batterymate, sophomore Jonathan Bakken, was 3-for-3 with two doubles and three RBIs. Spring Valley and Durango finish their three-game series Friday and Bassett doesn’t assume the final game will go like the first two have gone.